The media in India may be free but proprietors and editors have chained themselves. There are three ways for governments to exercise control over the media: by enacting and enforcing laws that make free speech impossible and that hold out the threat of prison for any violation of those laws; by fear and intimidation, harsh and subtle, over owners, editors and journalists, but without any legal basis; and, perhaps the most dangerous of them all, by seduction. Of course, killing journalists is the most extreme form of pressuring the media and sadly, India is no exception to that. The laws governing freedom of expression are fairly liberal and rarely are legal methods applied against media houses or journalists. The Emergency was imposed with full legal processes in place and media censorship was imposed by law. When people say we are passing through a second Emergency, they are wrong – there is no government censorship of the media, and journalists, as much as ordinary citizens, are free to say and write whatever they want to. That they don’t, and that there is self-censorship of sorts, is of their own volition, not because the government has passed any law. Which brings us to points two and three. The Narendra Modi government has realised that any new regulation or law that even remotely smacks of control will get everyone riled and unite all sections of the media. Witness the widespread agitation against Smriti Irani’s poorly thought out plan to regulate fake news which was shot down by the prime minister within a few hours – impressive, when one considers that this government does not like to be seen capitulating on anything. The establishment is also wary of using threats against media houses and journalists. The raids on NDTV, ostensibly because of allegations of financial impropriety, brought journalists on a common platform to hit back. It is obvious that the raids were meant to send a message out to other media organisations, and may have even achieved their purpose, but it is not a weapon that can be frequently used. There are reports of phone calls to editors after a particularly strong story and also stories about the government’s unhappiness with certain personnel in media houses, but these are largely anecdotal. Instead, this government has finessed the game – it has managed to get large sections of the media on its side by making it a completely voluntary exercise. It is not just media owners, who may have a lot to lose if they show signs of defiance, but also editors who have willingly abdicated their professional duty of asking questions to power. Some have done it openly, others tie themselves in knots trying to demonstrate they still retain their independence, but these asanas fool nobody. Indeed, the sarkari rebel is the most pitiable specimen because he/she has no credibility with anyone – rulers, peers or readers. And of course, there are also the notorious ‘North Korean’ channels, praise singers for the king, who will shout down anyone who remotely sounds skeptical. How did this happen? There has always been a class that veers towards the powerful and adjusts its sails the moment the winds change. There are editors who forcefully wrote for one side and within weeks, after an election, switched over to the other. Others do it more gradually, but the intention is very clear. Then there are many journalists who may be ideologically inclined towards the current dispensation, not necessarily as committed apparatchiks but as fellow travellers. These are not neo-converts, but those who harboured ideas that they kept hidden all these years and feel comfortable airing now – ideas that are in perfect sync with the ruling group. As for the propreitors, they either want favours of one sort or the other or worry about the skeletons in their closets, thus compromising their ability to act independently. After Modi won the elections, but for a while earlier too, the media had begun showing signs of this bias; from May 2014, however, this tendency became a full-time job. Ironically, if there ever was a government and a prime minister who showed complete lack of interest – contempt, even – in wooing the media, it is this one. Yet the more the disdain, the more journalists craved for recognition and tried to show their loyalty. There are many journalists who still haven’t given up on their basic dharma, that of demanding accountability and asking questions. They have their constituency too, because citizens are not fools. Such journalists are often called ‘brave’, but they are not – there is no bravery in doing the job you are supposed to. 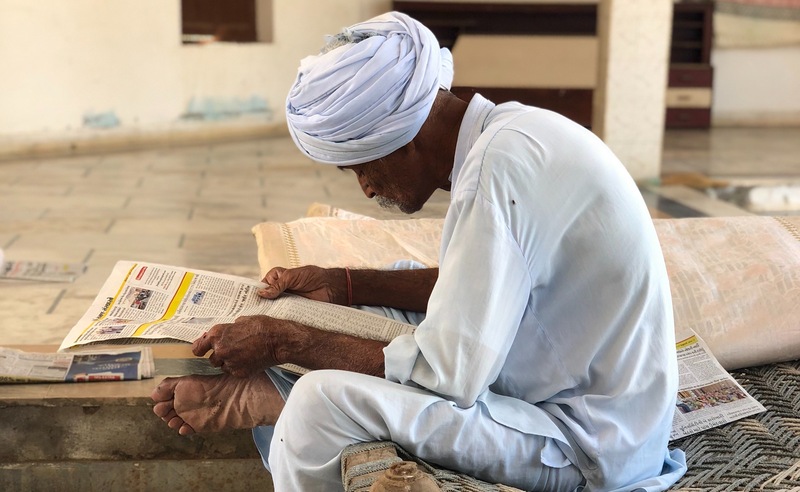 Nor are they exceptions – there are many journalists all over India who still retain their professional honesty and commitment and will not be cowed down or charmed by those with power. But they are often let down by their colleagues, some of them influential, others their own bosses. Many journalists have long given up any pretence of journalism – a nightly viewing of television channels will confirm that. 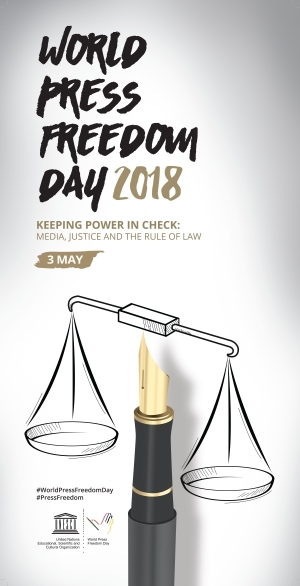 On World Press Freedom Day, therefore, journalists need to count their blessings that the situation is not as dire as in many other countries, even if the pressures on independent minds are growing by the day. But along with the dangers from the outside, as media practitioners, we have to guard against those who undermine the cause of press freedom from within. Because that is the one enemy that is the most difficult to fight.